"Catching Up With Keith Hart" - Article by Billy Powers, Slam! - NJPW Sumo Hall (July 17, '80) = Hart lost to the WWF Junior Heavyweight Champion, Tatsumi Fujinami. 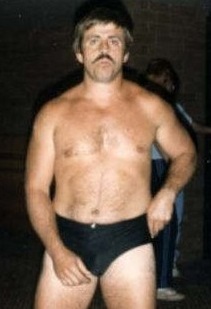 - Calgary Stampede North American Heavyweight Title Tournament (March '82) = Hart lost in the first round to Duke Myers. Leo Burke won the tournament. - Calgary Stampede International Tag-Team Title Tournament (March 31, '84) = Keith & Bret Hart took down Kerry Brown & Timothy Flowers, then were beaten by Bad News Allen & the Cuban Assassin. The British Bulldogs won the tournament. - Calgary Stampede International Tag-Team Title Tournament (October 10, '85) = Keith & Bruce Hart won over Goldie Rogers & the Cuban Assassin, then fell to the eventual winners, Wayne Ferris & Ron Starr. - Calgary Stampede British Commonwealth Mid-Heavyweight Title Tournament (July/August '86) = Hart defeated Mike Hammer, then fell to Vladimir Krupoff. Gama Singh won the tournament. - WWF Survivor Series '93 (November 24) = Keith, Bret, Bruce, & Owen Hart fought in an "Elimination" Match against Shawn Michaels & his Knights. Keith, Bret, & Bruce 'survived'. - Toronto Stu Hart Tribute Show (December 15, '95) = Hart was pinned by the 1-2-3 Kid.